There have been some questions about AMP speeds recently, with some external testing done by those attempting to figure out how fast – or not – AMP is. 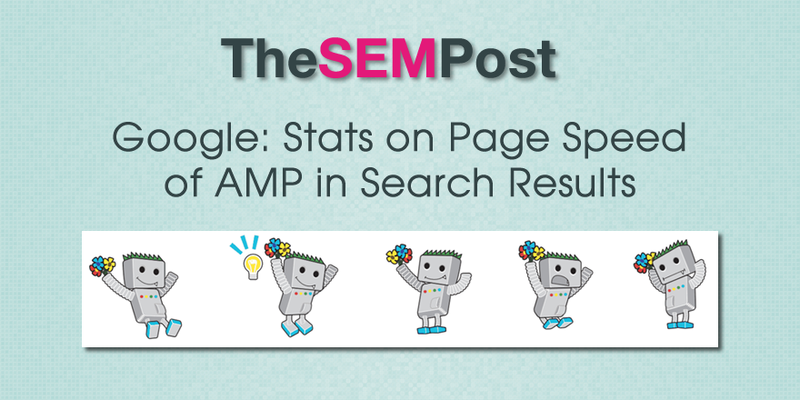 At State of Search in Dallas last month, Maile Oyhe from Google talked about AMP and how it relates to speed for users, and she revealed some new statistics from Google about just how fast AMP is. First, she mentioned the pre-rendering aspect of it, which is part of webmaster’s love-hate relationship with AMP. AMP is pre-rendered to feel instant. And that’s why it’s one of the great things about it, why it’s so fast. AMP is touted for its speed. And Google found that under 1 second is the median load time. In one study we found an under one second median load time from all AMP pages loaded from Google Search. Yay! Not all pages load blazingly fast, even in AMP. And we have some more stats on that now, too. And it does clarify that not all AMP pages are blazingly fast, just a good portion of them. Ohye stated that 99% of AMP pages are loading in faster than 8 seconds and by comparison, the control group loaded in 22 seconds on average. So even though some AMP pages were slower, non-AMP mobile pages were significantly slower. 99 per cent of AMP page loads are faster than 8 seconds, that’s also good. But the non-AMP control loads in 22 seconds on average. So the average mobile site we are seeing in our experiment took 22 seconds. It would be interesting to see what AMP elements the longer loading pages are taking, and if that is taking it account slower servers on the initial view for cache. Because 8 seconds seems really long for any AMP page to load. Google still needs to do some work to educate searchers on what AMP is and why one might want to choose an AMP result over a non-AMP one. And they are exploring ways to do that, judging by this test.